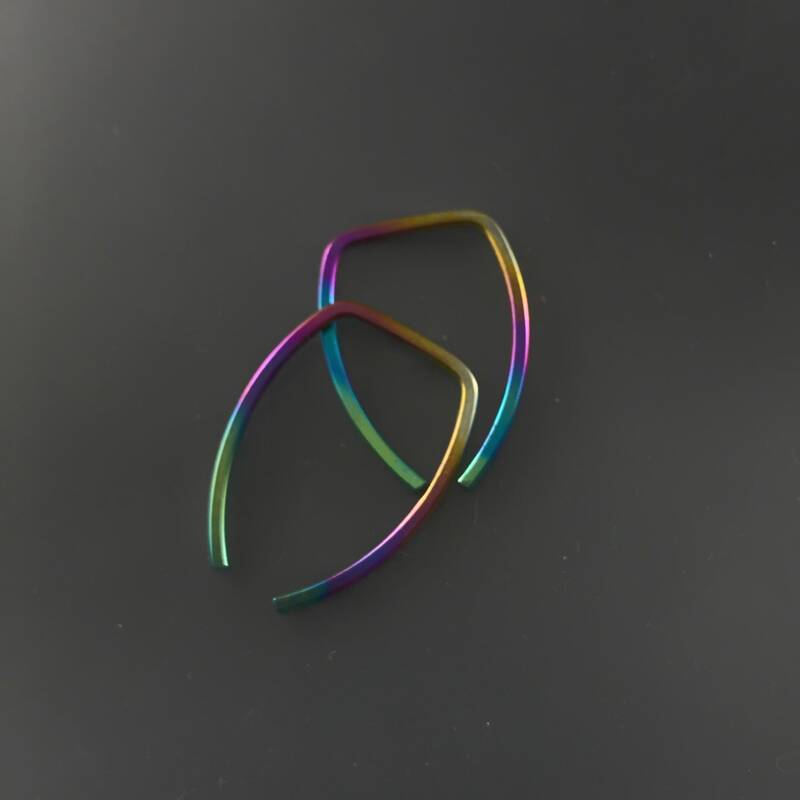 Tiny Minimal Hypoallergenic Pure Niobium Earrings. 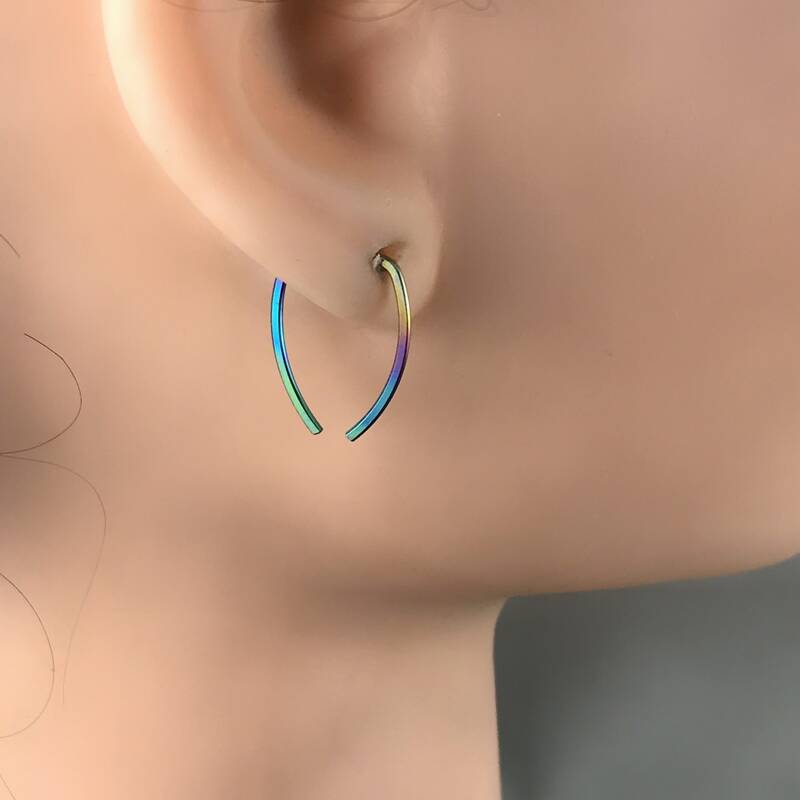 Hypoallergenic niobium earrings, the go to metal if you have issues with other metals. 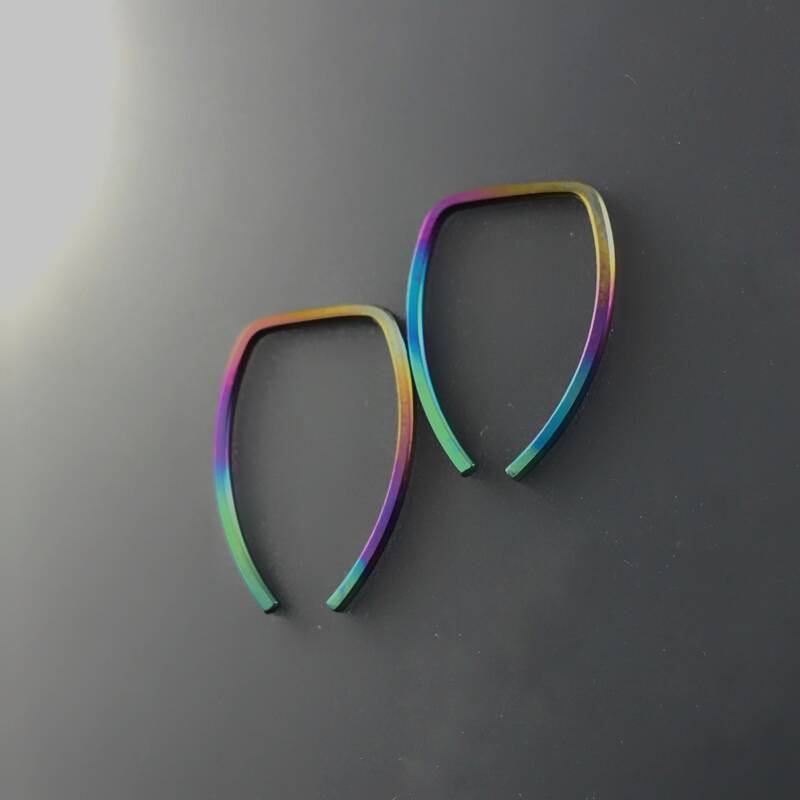 These rainbow pictured niobium earrings are available in sizes .5 inches to 1.5 inches. 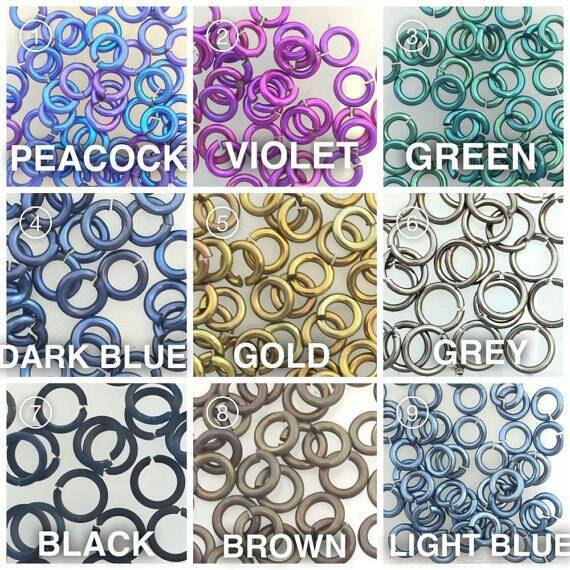 If you prefer an alternate color please look at the color chart photo in the listing and select a color at checkout. The listing photos are RAINBOW and 3/4 inches long. 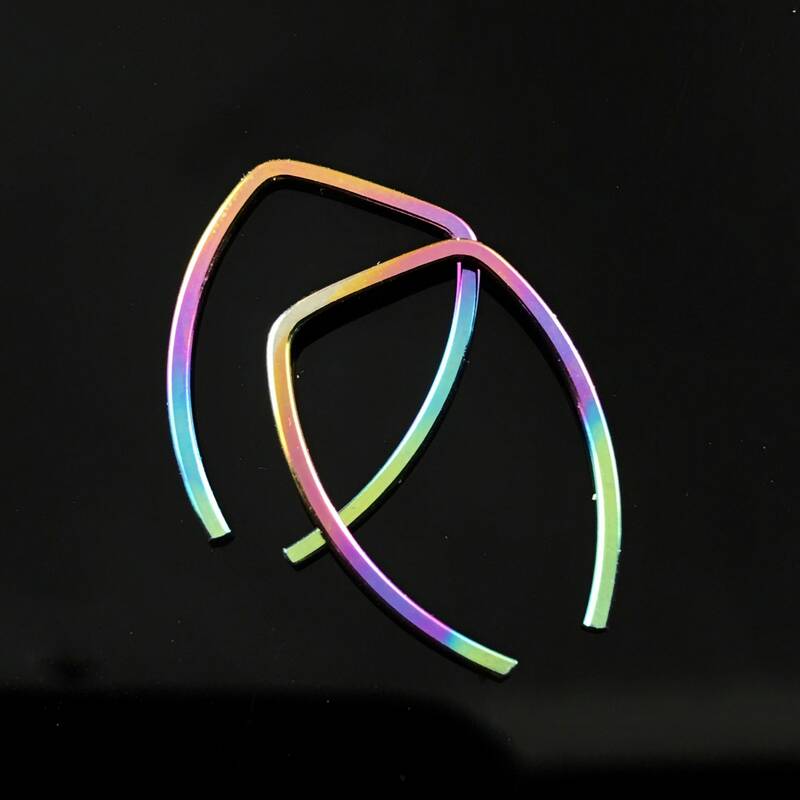 The color is not a coating, but a reaction of the metal to an electrical current. These earrings are handmade by me with hard temper wire to ensure they retain their shape. 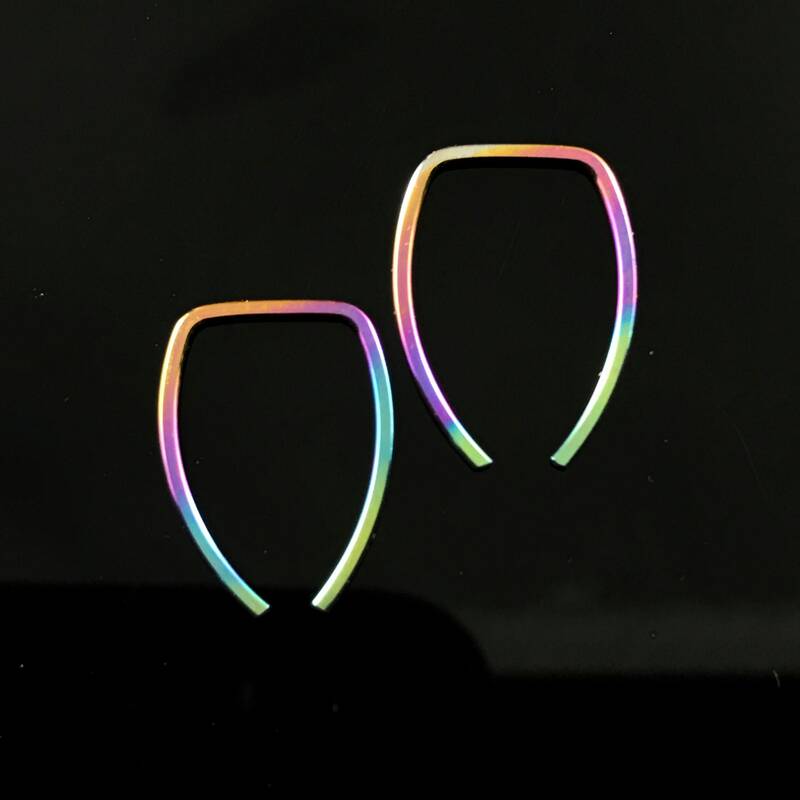 Polished and rounded earring ends prevent irritation when worn. 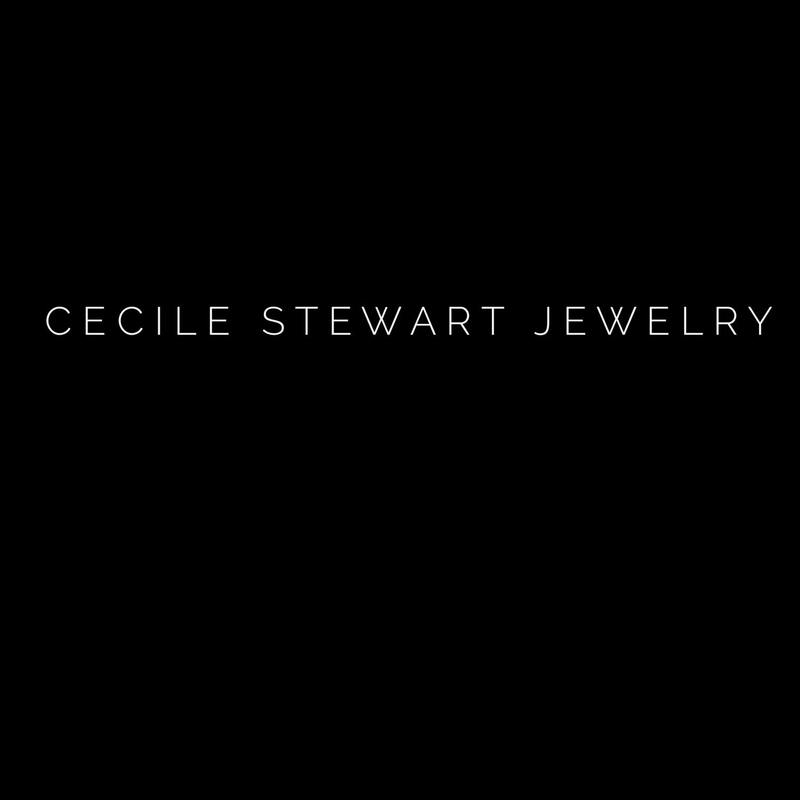 Simple sleeper style earrings provides you with a pair of earrings that will last you for many years. 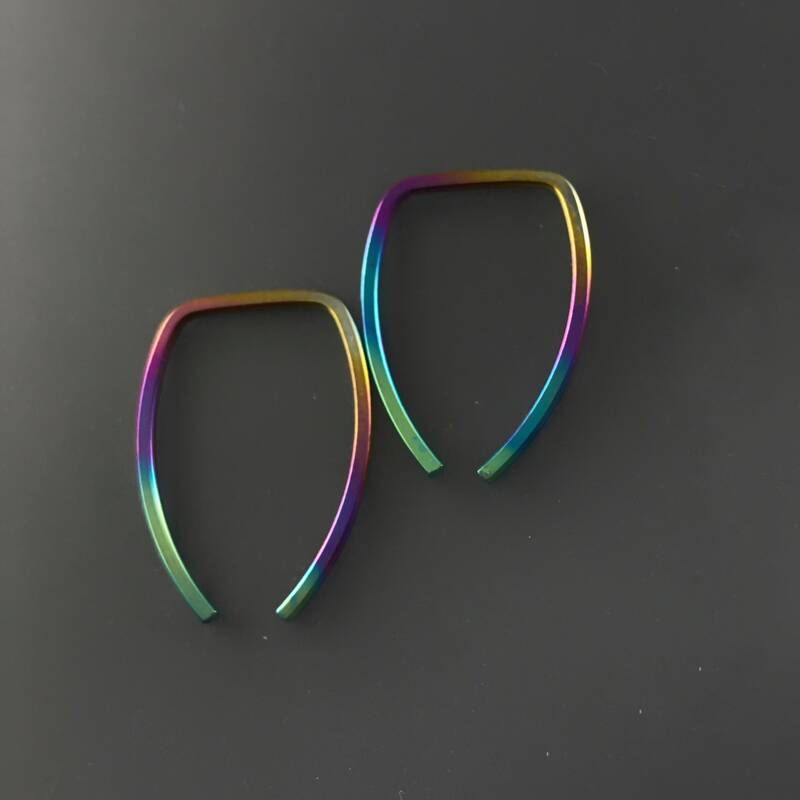 These earrings do not contain nickel.